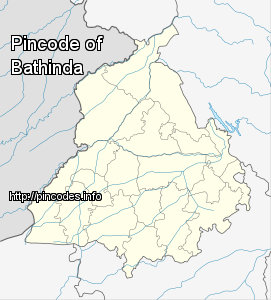 Bathinda or Bhatinda (Punjabi: ਬਠਿੰਡਾ) (Hindi: बठिंडा) (Hindi: भटिंडा )(known by Invaders as Tabar-e-Hind or Tabarhindh meaning the Gateway to India) is a city and Municipal Corporation in Southern part of Punjab.The city, named after the Bhati kings, is one of the oldest cities in Punjab, India and the current administrative headquarters of Bathinda District. 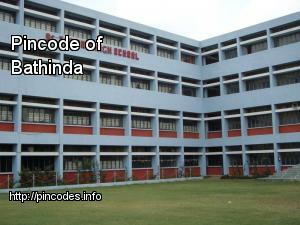 It is in northwestern India in the Malwa Region, 225�km west of the capital city of Chandigarh and is the fifth largest city of Punjab. Bathinda is nicknamed the 'City of Lakes', courtesy of the artificial lakes in the city.The first empress of India, Razia Sultan was imprisoned in the Qila Mubarak fort in Bathinda. A video on Wednesday surfaced on the social media purportedly showing an undertrial at Bathinda central prison being stripped naked and thrashed by fellow inmates.